WhatsApp beta for Android 2.19.87: what’s new? WhatsApp has recently submitted a new update through the Google Play Beta Program, bringing the version up to 2.19.87. The Dark Mode feature is not available yet. Previously, we spotted a lot of new references in the WhatsApp beta for Android 2.19.82 update, that contained hidden tracks of the Dark Mode. 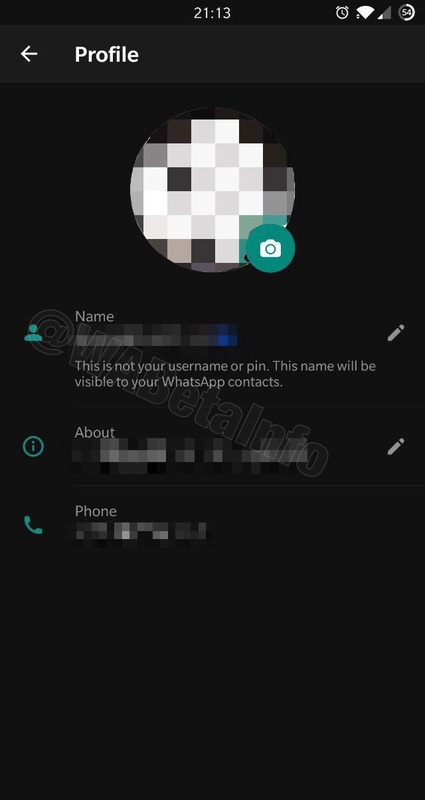 First references showed that WhatsApp was starting to implement the Dark Mode in all WhatsApp Settings. In the WhatsApp beta for Android 2.19.85 update, we learnt that WhatsApp shows a Dark Status Bar, when the Dark Mode option will be enabled, with improvements in some sections. In this 2.19.87 beta update, we found other new references: they worked on the Profile section, in order to make it compatible with the Dark Mode. “Request Account Info” and “Two Factory Authentication” and some other sub-sections are unaccounted for. Surely the team will work on these sections in the next updates, before starting to work on the Dark Chat UI. We do not know when WhatsApp is going to enable the Dark Mode for everyone, in fact there is no release date available unfortunately. We have to say that they are working very well, this Dark Mode they are developing looks amazing, better than the Dark Mode they are developing for iOS. When there are new progress for new sections or the feature will be available in a new update, I will immediately announce it: stay tuned! Previous PostPrevious WhatsApp beta for iOS 2.19.40.23: what’s new? Next PostNext WhatsApp beta for Android 2.19.97: what’s new?